When searching for a new Chevrolets for sale, we believe the dealership makes the difference. 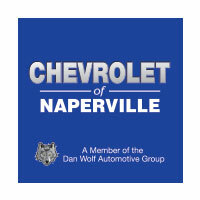 At Chevrolet of Naperville, we strive to offer Aurora shoppers with the great deals on new Chevy cars, trucks, and SUVs. Explore our new Chevrolet inventory today! Knowledgeable staff: Need help picking the right vehicle? Our sales team can find a vehicle that matches both your budget and lifestyle. Easy upgrade program: Next time your vehicle is serviced find out about our upgrade program for additional discounts on a new vehicle. Advanced service center: Our service center features certified technicians, great specials and coupons, genuine parts, and a comfortable lounge with amenities like Starbucks coffee for your wait! Found a new vehicle you are interested in? Visit our dealership in Naperville for a test drive today! You can also apply for financing online, and our finance department can review your options with you when you arrive.